Send pet to work via [Pet Working Teleport-er] in inventory. Cannot be store in shared storage & cannot trade in Auction. 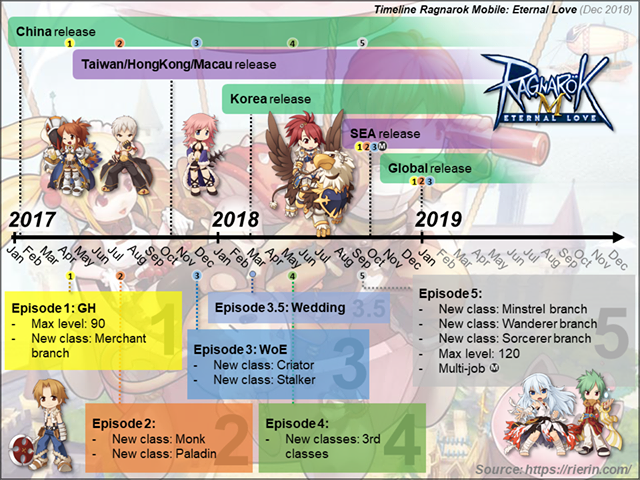 At beginning, 1 Game account can only send pet to work maximum in 2 work place. Pet need to have Intimacy Level 5 to work. Pet working skill, intimacy level and base level will affect working efficiency. The higher the working efficiency, the lesser the time require for the pet to finish work. So total you can send pet to 5 different work place at a time, after you unlock the above requirements. Character Base Level 70 Every 30 mins receive 1 Adventure Ball. 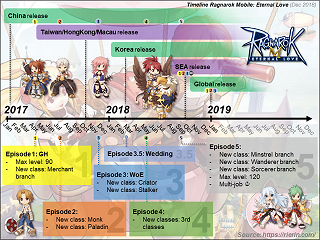 道具店 Pet Level 45 Every 50 mins receive 1 Gift Box. Gift Box contain random item. Use/ Activate monthly VIP Card Every 60 mins receive 1 Gift Box. (Capture 5 Pet) Every 60 mins receive 1 Gift Box. Reach Chef Level 6 Every 35 mins receive 1 Gift Box. 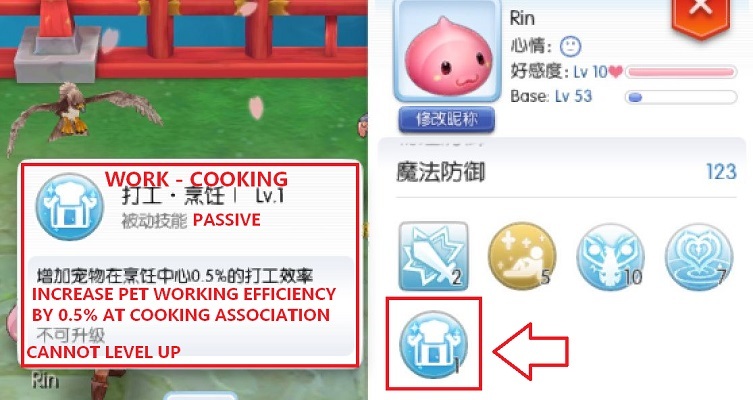 (Craft 5 headgear fashion) Every 40 mins receive 1 Poring Coin. Reach Rank C Adventurer Every 45 mins receive 1 Gift Box. Reach Rank D Adventurer Every 35 mins receive 2 Battle Token. 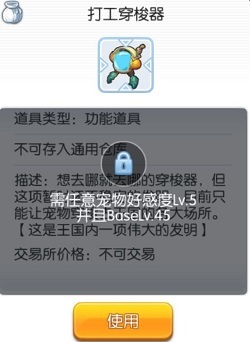 Refresh pet working skill by resting the pet in egg form and summon it out again. Each pet have different working skill. Check the recommended pet for each work station at list above! 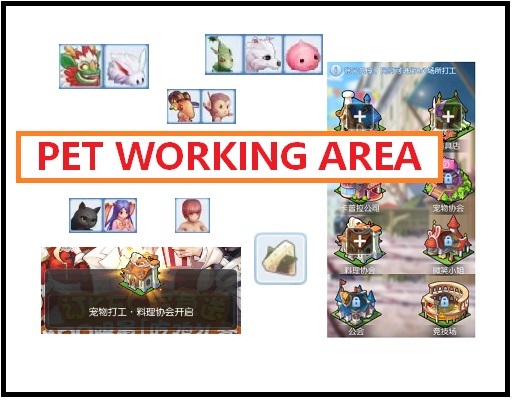 Increase pet intimacy to level 5, 8 & 10 to increase pet working efficiency (reduce working time).